A forum with a sense of fun and community for Home Theater enthusiasts! (2003 model with DVT input only - Manuel states DTV ports can be configured for HDTV signal types component (YPrPb), RGB sync on green, and RGB plus H&V - not quite sure what this all means). I tech chatted with a rep from Monoprice.com (which also led me to the HD Fury website). He suggested that I could run cable from the PC's VGI output, along with VGI and 5 RCA adaptors, and an HD Fury (or HD Fury 2) to my TV's DVT ports. Would this would work to get 1080 resolution out of my HDTV? 1. 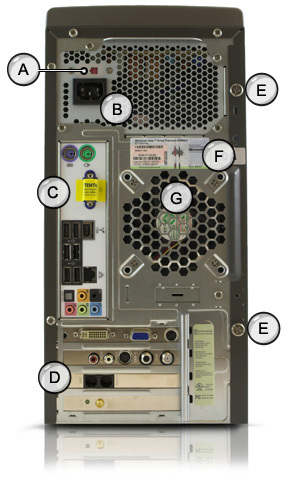 Would it be helpful (or better) to update my video card in order to be able to connect my PC monitor and TV to separate ports? I read that the ATI cards were better at having capabilities of using the PC to serf the web and still be able to watch movies, etc. on the TV (if this is the case, what cards are best - I hope to use Media Center and also have cable or satellite through my tuner card (is the tuner card adequate?). Is splitting the signal to run lines to both monitor and TV a poor idea? 2. Is getting 1080 resolution (on the non-HDCP TV) from a blu ray drive a problem without using the HD Fury (or something similar)? 3. My Computer and HDTV are on different levels of my home. Is resolution affected by the length of lines run (25 ft)? 4. Would the cable line be split (run to my PC and cable box) or does this pose a problem? Does the cable line (output?) also have to be run to the TV? I hope this makes sense! Thanks for the help! If I can figure this out and order the necessary parts, I may be able to catch a few bowl games in HD! "RGB plus H&V" is the same thing that is being output by the VGA port on your video card. The only difference is the physical connector. You simply need to buy a breakout cable which physically has an HD-15 connector on one end and breaks out to have five RCA-style. Monoprice you to carry these cables, but for some reason I am not finding them on their website this morning (stopped carrying them?). Trust no one. Absolutely no one. Advice of the board. So if I find this cable, no adapters would be necessary? I thought the VGA port on my computer was analog (or were you meaning I would also need a HD fury to complete this connection - in order to create HD and for my TV to simulate HDCP compliance). That would be great if I could do this because I could use the DVI port from my video card to connect to my computer? Does this sound correct?? Yes, what you refer to as VGA is actually an HD-15 PHYSICAL interface that is capable of outputting in analog signal. But since i have no idea what the back panel on your Mitsubishi WS-5551 it is hard to accurately guide you. Can you take and post a picture of this back panel, or provide a URL (link) to the manual? I have tried many ways to attach the file to no success. The PDF (I was also not able to attach) is available at http://www.mitsubishi-tv.com/support.html. You may have to fill in the model ws-55511 in order to bring up the product manual. A visual of the back panel of my TV is on page 13. Thanks again for your help!!! Hi jsec, the easier way to do it is to use the Componenet output dongle for your video card and just run 3 conponenet cables to you Mitsubishi, Enable the conponenet outputs in the Video control panel and check off the 1080i box for resolutions. This should give you a 1080i picture on your TV. Sorry, my HD lingo is in it's beginning stages. To which output from my video card are you referring: the DVI, the VGA, or the TV out? And would I need adaptors to run the line to my TV via my DTV inputs (red, blue, and green inputs)? Is the fact that my TV is not HTCP compliant an issue? Thanks for your help! They are the 5 RCA inputs colored red, blue, green (video) and white, red (audio). There is a visual of the back of my TV on the Mitsubishi website (see the earlier thread). You mean component video and stereo audio. Now I'm a little confused (sorry the Mitsubishi link brings you to the homepage - need to click on "support", then click on "product documents", then enter product #WS-5551, the picture of the back panel is on manual pg. 13 of the PDF). The Mitsubishi rep told me these inputs were the only way I could get High Definition. With a 5 RCA adapter and line going to my PC's VGI output. A tech rep. from monoprice told me this would work if a HD Fury (or Fury 2) was connected in the line to convert the signal. On the Fury website it mentioned this was necessary because my HDTV was not HTCP compliant (my PC and Monitor are). Does this sound right? PS - It must be sunny and warm in Australia. I'm in Iowa and we had a quarter inch of ice on the ground (pretty slippery)! Ice? That's the stuff you put in a drink right? 29 degrees? Oh, that must be celsius (holy cow thats's 84 F).....and you're right, ice belongs in a drink (another job to do - hooking up my fridge's icemaker)! After you get back from the beach (have fun), when you get a chance, let me know if my last reply does make sense. For a short period of time Mitsubishi labeled the HD-capable inputs as DTV, meaning Digital TV (ATSC). This wasn't always the case with Mitsubishi, and I think they changed the label to HD/HDTV/High-Definition.